Have you considered what would happen to your business if you, or a key member of staff, suffer an injury from an accident and are unable to work? In these circumstances, personal accident insurance cover will pay your business a weekly amount. 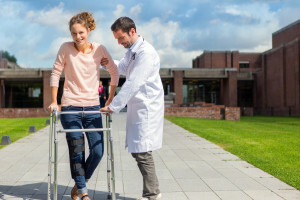 If the accident is more serious and the injury results in permanent disability or even death, your business would receive a lump sum payment allowing you the financial flexibility to deal with a staffing crisis. Business travel cover provides protection against death, injury and illness whilst travelling including any emergency medical expenses and repatriation. In addition, we can help with many other mishaps that may occur such as loss of business equipment, fraudulent misuse of cards or travel delays and cancellations. Any business which has staff travelling for business reasons should consider a policy to protect their staff and the business. Ravenhall have access to the UK’s leading insurers with policy wordings designed to suit clients of all shapes and sizes. Personal Accident and Business Travel can be purchased as individual covers or combined in a single policy. Speak to one of our advisors today to ensure you have the necessary cover for your business.